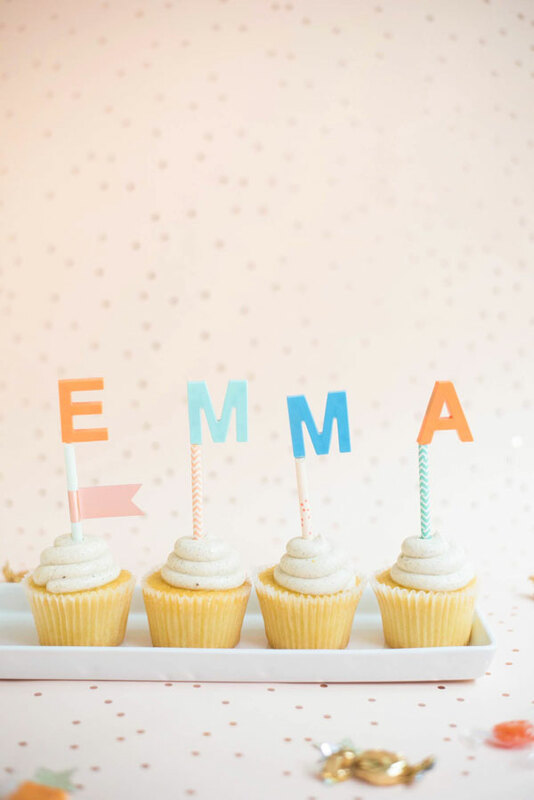 What could make a birthday boy or girl feel more special than a personalized name cake topper?! After spotting these magnets at Target, I knew they could be used for more than just holding cute artwork to the fridge. Just be sure you get two packs if you need more than one “E” or “A,” etc! 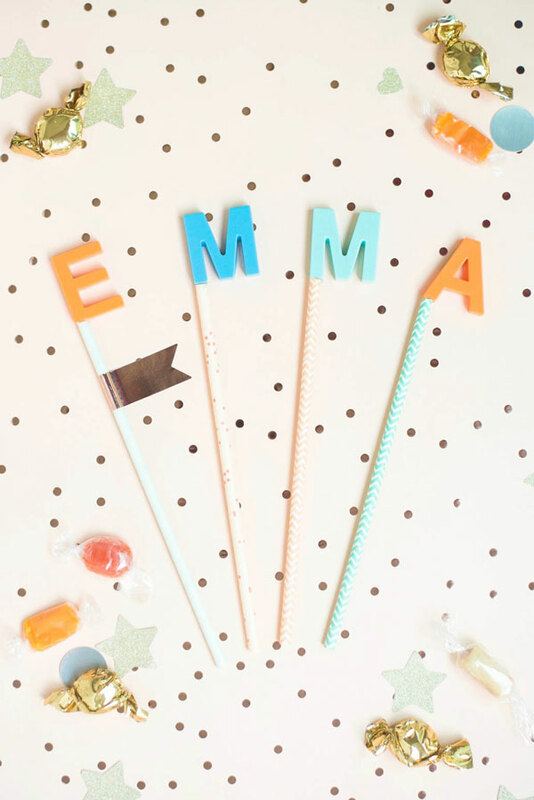 Materials needed: letter magnets, cute paper straws, hot glue gun, parchment paper. 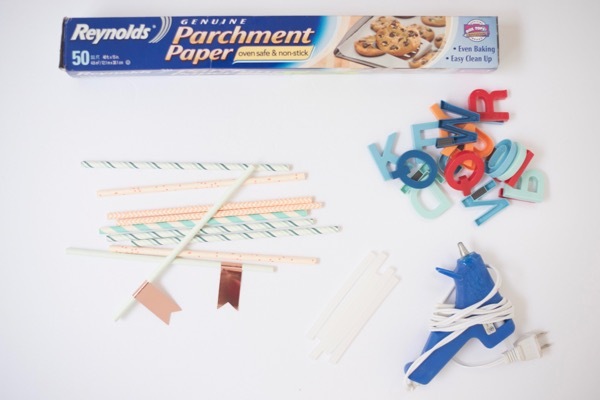 Step 1: Choose your letters and lay them face down on the parchment paper. 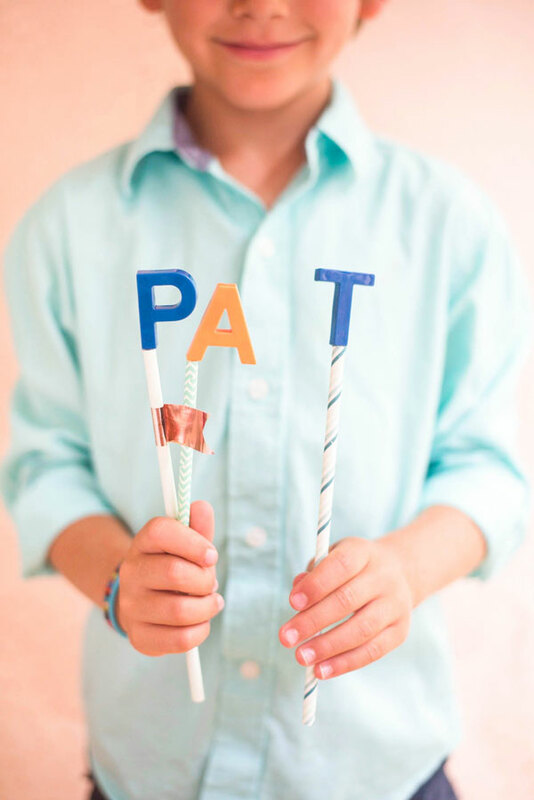 Step 2: Apply a dollop of hot glue to the top of a paper straw and gently press it up against the bottom of the letter. Step 3: Repeat with all letters and gently pry off the parchment paper once the glue is good and dry. Gently remove any strands of hot glue. 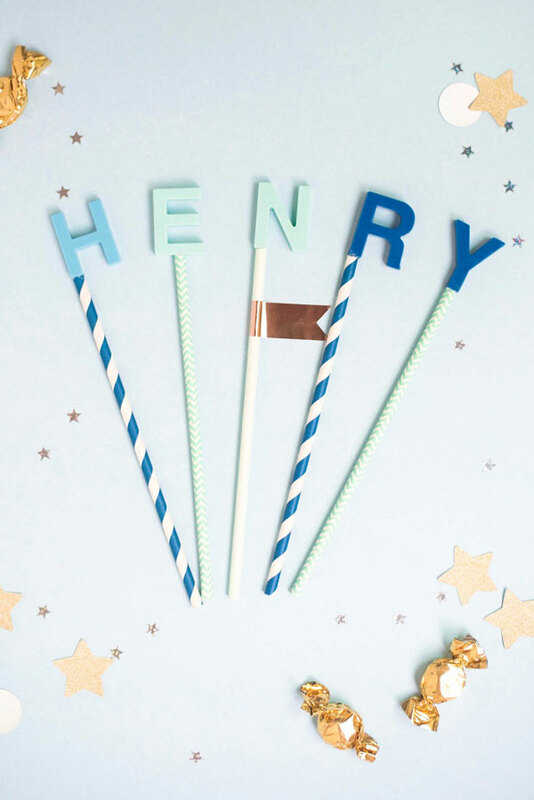 Cut the straws shorter if you wish, depending on the size of your cake and/or cupcakes. They’re so cute, especially on that cupcake! 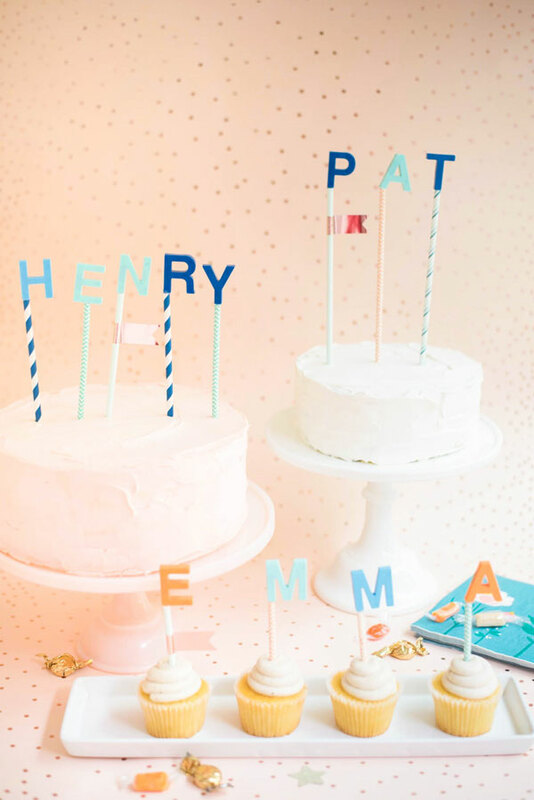 I recently bought a set of french happy birthday candles “bon anniversaire” so that I could take the letters to spell my daughters name “rosie”… this would have been a much better way of doing it! 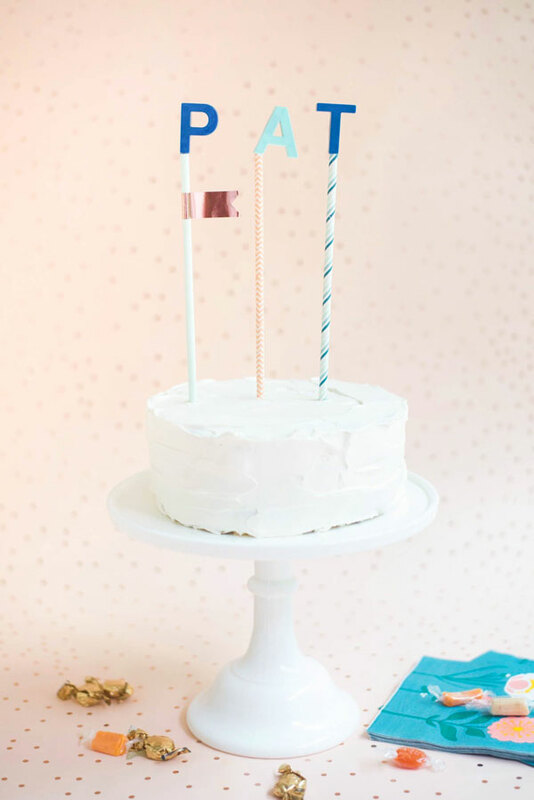 Love this idea, so unique and fab for any celebration! 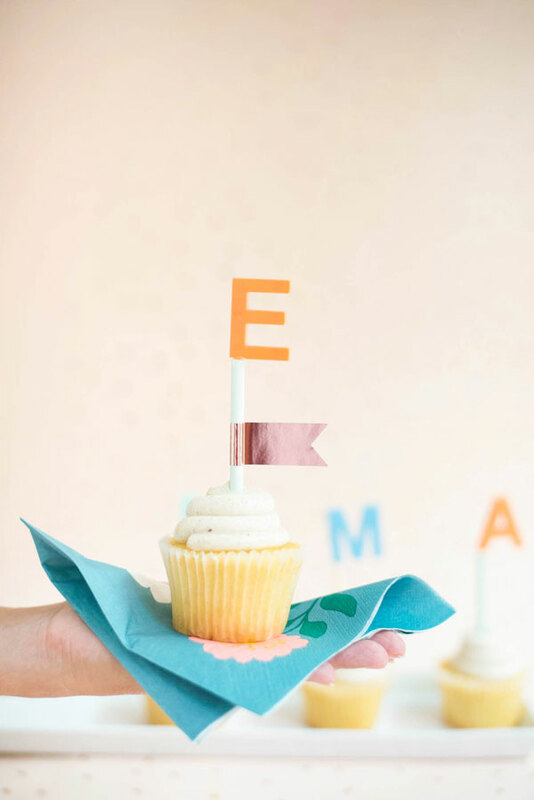 I have created this same effect with small wooden letters (1 1/2 inch size), which painted to go with the decorations. I used bamboo skewers (which I also painted) to place them on the cake. I love it when you can personal something and save it for pictures throughout the party.